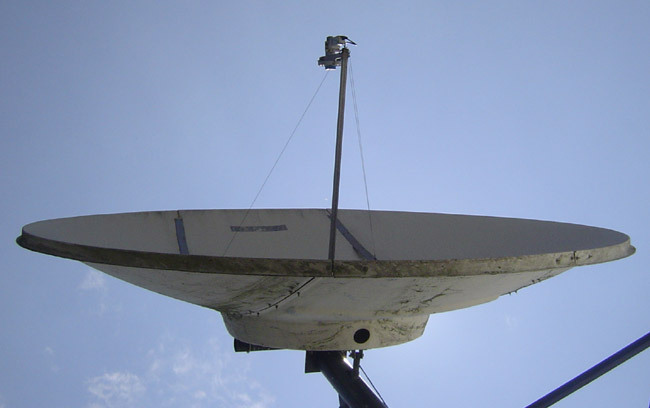 Satellite dishes have been a part of radio station technical equipment for years. I am surprised at the number of broadcast engineers that do not consider center of box when aiming dishes. As dishes get larger and focal points get smaller, center of box aiming is not a nice thing to do, it is a necessary thing to do. The latest generation of satellite receivers, (AKA XDS) have a somewhat less than lively RF front end, they require higher E/B than the previous generation Starguide receivers to stay locked. For years, the majority of commercial radio networks were carried on AMC-8 or its predecessors living at 139° W. On the east coast, particularly in the Northeast, that makes aiming points relatively low to the horizon, anywhere between 8-10° elevation. This all means that precise aiming the satellite receive dish is critical for satisfactory performance. SES Americom owns AMC-8 and thus they have a web page about all of there satellites and important operating information. SES Center of box for AMC-8 is available in one month blocks, which makes scheduling the aiming chore fairly easy. 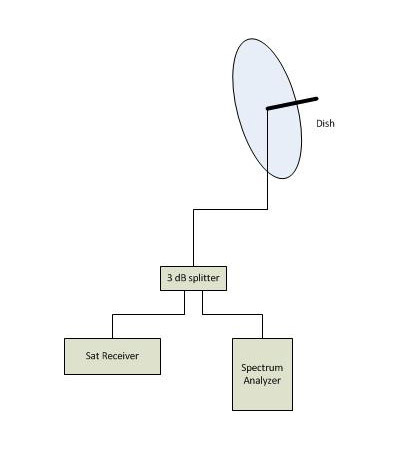 I have always used a spectrum analyzer though a 3 dB splitter to look at the 950 MHz LNB output. This aiming setup allows the best combination of Azimuth/Elevation/polarization. Using the satellite receiver to confirm and maintain signal lock, peak the wave form that the receiver is locked to. It is pretty crowded up there, so there will be lots of signals on the spectrum analyzer trace. It is a pain in the rear end to lug all that equipment out to the satellite dish, especially if it is on the roof. That is why it only need be done once; the right way the first time. Any shortcuts will likely lead to those annoying chirps and drop outs or complete loss programming, particularly when the weather turns bad. More bee related RF stories. This happens often this time of year, the paper wasps have worked hard all spring to build their nests up in size and during July, they become large enough to block the aperture of the antenna mounted on a satellite dish. As the nest fills up with eggs and larva, it becomes denser and blocks more RF from the antenna. Soon, the signal on the satellite receiver drops and audio dropouts occur. I have noticed that the newer generation satellite receivers are not as good as the older Starguide III and II units. The Starguide receivers were pretty light duty when compared to the Scientific Atlanta 7300 or 2300 series units. Those things were build like tanks, took up a lot of rack space, and so long as one replaced the power supply capacitors every so often, never failed. The newer satellite receivers are very intolerant of phase shifts or any carrier disruptions. Many times, the signal strength might look to be above the drop out threshold (usually 4.5 to 5 dB), but the audio still occasionally cuts out. That symptom is almost always bees in the feed horn. This dish is mounted up high above the roof of the building on 6 inch well casing. 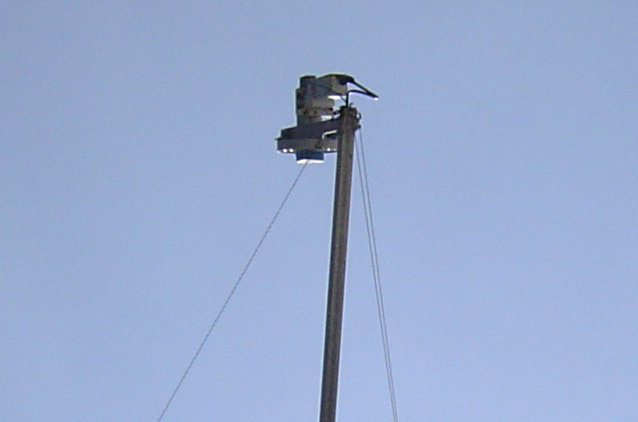 In order to service the feed horn, one has to either rent a cherry picker or loosen the azimuth bolts and spin the entire dish around so the feed horn is over the roof area. Then an eight foot step ladder is need to get to the feed horn. Luckily, it is a flat roof. Needless to say, I made sure the feed horn had the proper cover over it so that no bees could get in. Bee fade is best cured with a can of Raid hornet and wasp spray. The culprits are almost always paper wasps, which, I can tell you from experience, have a nasty sting. Once the nest is cleaned out of the antenna aperture, a proper cover must be installed. If one finds that they don’t have a proper cover, I have found that a top from a spray paint can will work as a temporary cover until a proper one can be installed. I would not call a spray paint can cap a permanent solution because the sun will eventually degrade the plastic and it will fall apart.